After a solid six hours, two pints of mead and one of the best foot massages I think I've ever received (which is to say none), brilliance has struck me with an idea of questionable merit: we could start with small hunts to gather the tools to fight this thing, attract the new blood of the city into it and get to them before the wave of elf-hate does. We could also just lie to them and claim they're doing it for, I don't know, glory or something. My point is simple; small actions add up quickly if you're willing to start them rather than wondering 'what will people think.' Tumbling rocks, moss gathering and all that nonsense. Chin up, you're part of the oldest and most dignified race in all the planes; you've neither the time nor the crayons to explain to these people why that's the case. But you can demonstrate why it's true. They don't have to understand it, they don't have to know that you fake it, they just have to see it. See? One simple letter and you're already well ahead of the curve, smiling and have all the power in the world to affect that which you want to see made manifest. All we need to do is take that first step and keep a positive frame of mind– and expeditious retreat potions, those are always handy. I'll look for you later today after I've had some time to do some mischief. Huntmaster Auric Varden has surrendered himself to the Crown, and claimed Trial against the charges against him. During the Trial, various problems with the case began to become clear. 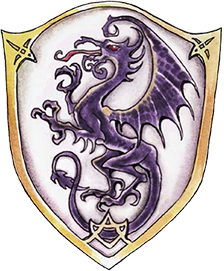 With Lord Hardcastle presiding as Warden of the North, the prosecution rested with Retainer Dhulir of House Hardcastle and the aggrieved Dwarves, who suffered heavy losses in battle, while the defense was led by the War Wizards of Cormyr, with evidence from the Purple Dragons. Lord Valiant Kralique was fined 50'000 gold for his role in the matter, while all Capital Charges were dismissed against the Huntmaster. Within the next few days, Huntlord Strider and Huntmaster Varden shall duel to the death, to answer for the alliance with the Drow, orchestrated by disloyal Huntlords. A new inspection of the Forgotten Glade will be made, it will be performed by House Hardcastle as a Lord of Cormyr granted a Royal Monopoly, and not by the Warden of the North, who is Supreme Commander of the Military Forces of the North Marches. Why do I have a feeling this could be a really bad thing? I would speak with you in person regarding these matters, Yala.